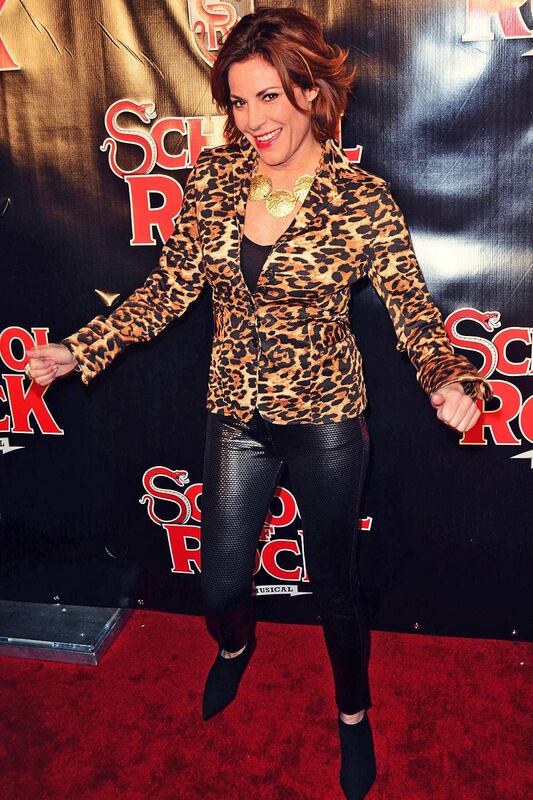 American TV personality Luann de Lesseps was spotted at School Of Rock Broadway Opening Night at the Winter Garden Theatre in New York City on December 6, 2015. The 50-year-old decided to wear a super stylish outfit consisting of skinny leather pants, a top and a jacket. Luann was wearing black leather skintight pants that she paired with matching top, while she gave her look a stylish twist with leopard print jacket. She donned black ankle length boots, and added a bit of glitz with stunning gold necklace. Luann was wearing her locks in soft curls, while she highlighted her features with shimmering eyeshadow, lashings of black mascara, plenty of pink blush and a dash of red glossy lipstick. Luann pulled off this stylish look really well. We love it!